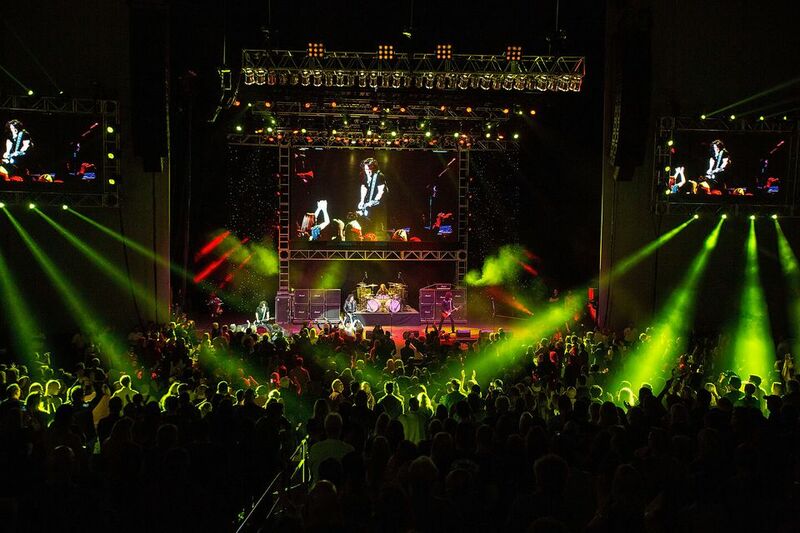 Comerica Theatre is a state of the art entertainment venue designed specifically for concerts, Broadway shows, family stage shows, boxing, and convention meetings. Seating can vary to up to 5,000 for concerts, and more for sporting or corporate events. Prior to October 2010, the venue was known as Dodge Theatre. The Comerica Theatre is located in downtown Phoenix, AZ near CityScape, the Orpheum Theatre and within walking distance of Symphony Hall and the Talking Stick Resort Arena. See the map below for detailed directions. You have a few different options when it comes to buying tickets. From scalpers/ticket exchanges, but beware of fake tickets! You might want to consult the seating chart on their website before you purchase tickets. You'll find more options within about 5 miles of downtown Phoenix. The major cross streets are Washington Street between 4th and 5th Avenues. Note that Washington is a one-way street going west. Both 4th and 5th Avenues are one way going south. From North Phoenix/Scottsdale: Take the Piestewa Peak Parkway (SR 51) south to I-10. Exit at 7th Avenue and turn (south). Drive to Adams and turn left (east). Drive to 4th Avenue. From East Valley: Take I-60 west to Interstate 10 west. Exit at 7th Avenue and turn left (south). Drive to Adams and turn left (east). Drive to 4th Avenue and turn right (south) to Washington. From West/Southwest Phoenix: I-10 East to 7th Avenue. Turn right (south) to Adams and turn left (east). Drive to 4th Avenue and turn right (south) to Washington. From Northwest Phoenix/Glendale: Take I-17 south to Jefferson Street. Turn left (east) on Jefferson Street to 3rd Avenue. Turn left (north) Washington and left (west) to 4th Avenue. By Valley Metro Rail: Use the Central/Washington or 1st Avenue/Jefferson station. This is a split station, so which station depends on which direction you are going. Check a map of the METRO light rail stations before you go. You can see this location marked on Google maps. From there you can zoom in and out, get driving directions if you need more specifics than mentioned above, and see what else is nearby.